The trumpet for congress has been blown in the Zimbabwe’s largest opposition political party, Movement for Democratic Change - Alliance. Congress has been set to be held in May 2019.The announcement of congress is drawing a lot of interests from both internal and external political players. The external forces particularly from the war veterans, ZANU PF respectively have already declared their preferred candidate to be Douglas Mwonzora .According to them Mwonzora is a mature leader. He is believed to be vying for the post of presidency in the coming elections. Although he hasn’t confirmed yet regarding the position he will contest in congress. Why this election matters for ZANU PF? ZANU PF is showing more interests in this elections because whoever is going to win the elections will be their rival in 2023. It is believed that ZANU PF is expecting some political squabbles and quarrels within MDC-Alliance which may result in a split. According to some unsolicited evidence suggest that ZANU PF had already budgeted around 4-6 million to influence the outcome of congress in favour of Mwonzora. ZANU PF is afraid to face a formidable, strategic and strong opposition party in 2023 elections. Chamisa wıth MDC-Alliance managed to secure more than 2 million votes for the first time in Zimbabwean history. In the past there wasn’t any opposition party that got 2 million votes. The number makes ZANU PF to be worried about their political survival. ZANU PF is experiencing drastic problems in trying to solve economic hardships facing Zimbabwe. They are failing to come up with a robust and concrete policies that could uproot the country from economic oblivion. The RTG $ which was introduced by the RBZ has already flopped and failed to turn around Zimbabwe problems. ZANU PF is worried because a strong and unified opposition can topple them from power. Is Mwonzora or Chamisa a big deal? Politics by its nature is a game of surprises. The history has recorded a lot of amazing results in the past for example a hotly contested election between Donald Trump and Hillary Clinton. Trump was so unpopular. He had no experience in the government but he thwarted his opponent drastically and the whole world was shocked. Another case that should not be ignored is the BRIXIT votes that took the world also by surprise. 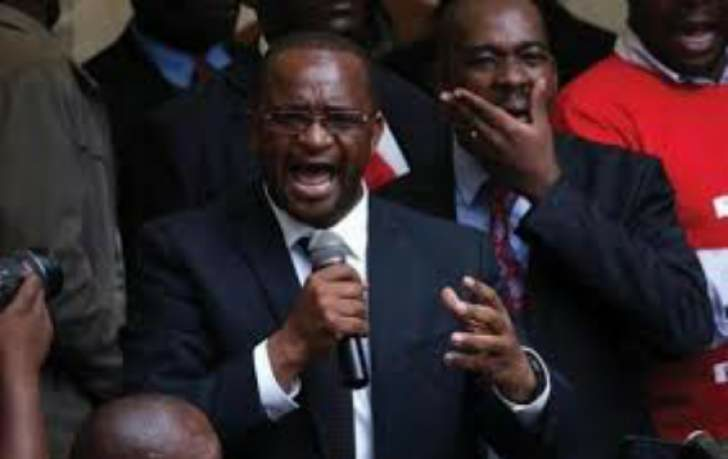 Most analysts have already warned Chamisa not to undermine Mwonzora. In 2014 congress Mwonzora unexpectedly won resoundingly for the position of secretary- general even though Chamisa was nominated by 11 out of 12 provinces. To make matters worse he had an upper hand to influence the structures since he was the national organising secretary by then. It is believed that the same structures voted in the 2014 extra ordinary congress are the same structures that will vote this time around. The results of 2014 are not appealing for the young Chamisa. The results which shocked people in 2014 Mwonzora got 2464 against Chamisa’s 1756 votes. The million dollar question is if these votes still exist then Mwonzora will win. To undermine Mwonzora in the coming election is tantamount to throwing himself into the political dustbin. Some members of MDC-Alliance have already declared war to Mwonzora as the ZANU PF project. Tendai Biti who is the currently vice chairperson of MDC-Alliance said he will not accept any results that will not declare Chamisa as a winner. As this is not enough the Harare province youth wing has declared anyone who will contest against Chamisa as the enemy of progress. Chamisa currently is enjoying an avalanche support from the youth wing because of his age, charismatic and appealing to them. He is only 41 years old. Most of his supporters are impressed by his ability to garner more than 2 million votes within a short period of time after the demise of the veteran leader Tsvangirai. The MDC house was totally haphazard the young and charismatic leader managed to bring back order and produced appealing results. What the world is expecting. The world expect to see Chamisa being contested by Mwonzora. Political contestation is very health for hybrid democracy and will give the general public an assurance that within MDC ranks there is high degree of tolerance. Gone are the days when one person is seen as a demigod or untouchable. The world and Zimbabwe at large is expecting violence- free congress and the members of the party can contest freely for any post without being victimised. ZANU PF also must not mingle in other political parties affairs rather let MDC do their elections alone.